Writing books is notoriously a solitary craft, whether that brings to mind an image of the infamous recluse JD Salinger, or the more modern, anonymous soul sitting alone at the neighborhood Starbucks, head buried in his laptop. My experience with writing has mostly been the opposite of this, as I’ve been in a collaborative partnership for over fifteen years now. Daniel Huber and I began writing together back in 1999, after I had mentioned to him that I had an idea for a story, for a “world” in fact. It was sort of this strange blend of science fiction and fantasy, because I wanted to write in a world with space travel but no aliens, and I wanted magic but no monsters. Just humans. Kind of like a Renaissance Faire, in space. Kind of like earth, idealized. So we talked about some of the things that might actually happen in this world, because without Dan I swear the characters would just sit around and blather on about the landscape and their food in extraordinarily articulate detail. Fortunately, Daniel is as passionate about story arc and plot as I am about breathing life into the characters and giving vivid description to their surroundings, so our creative strengths complement each other. For the most part, our collaboration is a harmonious one, and Daniel and I do our best work when we are together, “riffing” off one another’s ideas. To avoid distractions, we often have story meetings at a local library where we reserve a private “study room” that comes equipped with a white board for drawings, charts, timelines, and what have you. We take photos of our drawings and notes, and use our phones to record our sessions which I will oftentimes listen to repeatedly when trying to work out a scene. Incidentally, we have always recorded our story meetings. I have at least a dozen cassette tapes with all our world building for our first book and those are almost twenty years old. 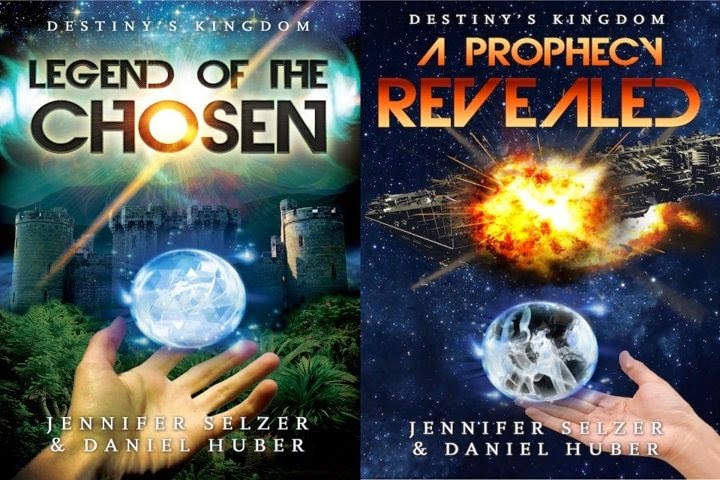 At the end of a couple years, we had our first novel, Legend of the Chosen, completed. Back then, in the early 2000’s a writer didn’t have much choice about what to do with their beloved manuscript. Oh, sure there was that dark corner of the publishing world called “vanity press” but we wouldn’t have to resort to that! We’d make it past the infamous slush pile, no problem! It’s like another world, that era, when we found out that the Big 6 (it was six at the time, if I recall, now it’s five) publishing houses didn’t even accept unsolicited submissions. Upon further research we found that the specialty houses, who focused on genres like sci-fi/fantasy, didn’t take simultaneous submissions, and their turnaround time for review of a manuscript was up to a year. What’s a writer to do? Of course we sought representation, an agent, a sympathetic editor, just a foot in the door. We went to conferences, got professional critiques, learned to cold-pitch at conventions. We also learned about how we’d lose creative control if we did get picked up by a publisher, and we didn’t like that idea. I started thinking that the whole vanity press thing didn’t sound so bad, because we could keep the integrity of what we’d worked for two long years to create, complete with world maps and galaxy maps and special titles and objects and all these very cool things that made our world so special. I really started to like the idea of doing it our way, printing up some copies and going to local conventions, setting up a table and surrounding ourselves with a book fort. But oh, the expense! And it was so very frowned upon. We put our manuscript and our writing dreams on the back burner for several very long years. I don’t remember what made us pick it up again sometime in 2011. I do know that every time I have picked up this manuscript, it sings to me, and I love it as much as I always did. But we’d grown a lot and learned a lot and knew where we could make it even better than it already was. We gave it a polish, tightened it up. We started looking at conferences again, just to see what was new. We ended up at the San Francisco Writer’s Conference in February of 2012, equipped with almost 10 years of thicker skin, which served as an armor that really can’t come from anything other than time and jaded experience. We had a new confidence. We really liked out stuff, and thought it was different and unique. Plus, we had nothing to lose. So at San Francisco we pitched and we networked (a little) but the most valuable thing that we walked out of there with was the wealth of information we learned about the world of self-publishing. No longer was it a dark shameful corner where the losers go; no longer was “vanity” even in the title. Now there was Amazon… and Kindle. Now, with all the e-readers and digital platforms… anyone could put out a book. And if you already had a beautiful, well-formed manuscript just sitting on your hard drive… well, here’s your chance. By the second day of the three day conference, our objective had turned from trying to get an agent and talking to editors to attending and recording all the self-publishing seminars that we possibly could. Learning all about e-readers. I’d never even seen one in real life. Certainly didn’t own one. And there were success stories already! Of people selling tons of digital books. How did this get past us? We learned about tools and formatting, about Smashwords and Book Baby. We learned that most of the things we could do ourselves and the ones we couldn’t, were easily and reasonably available for hire online. We got to hire a designer. Have full involvement and input on the cover design. In Legend of the Chosen we created an object that our protagonist uses to perform what I’ll simply call a magical task. And Dan and I did these ridiculous sketches of it, so when I was writing, I’d have a visual reference for this tool/conduit/divining rod. This object plays a pivotal role in the book. And neither of us can draw worth a lick, much like our kingdom maps and castle maps, these sketches looked like refrigerator art of a six-year old. We had mentioned this object to our awesome book designer, Derek Murphy, and sent him bits of text from the manuscript and he managed to create a pretty amazing representation of our object, our made-up object! Dan and I were in freaking love with this. I mean, something that we had only imagined, now actually (almost) existed. And one day I had a heady realization of the creative control that we had in this wonderful, dream-making self-publishing-friendly world. 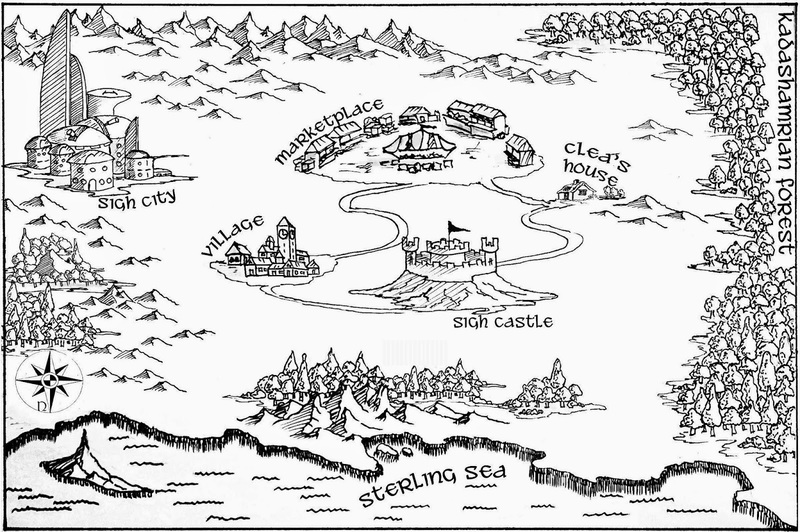 And I wanted a kingdom map in the front of our book. That’s when we found 99 Designs. We uploaded our ridiculous, childlike drawing of where everything should be placed, and real artists went to town. We ended up having something like seventeen kingdom maps to choose from. We picked one winner, which ended up in the book, and a second one I loved so much I bought it anyway, because I just couldn’t bear the thought of not owning it. What an awesome experience. 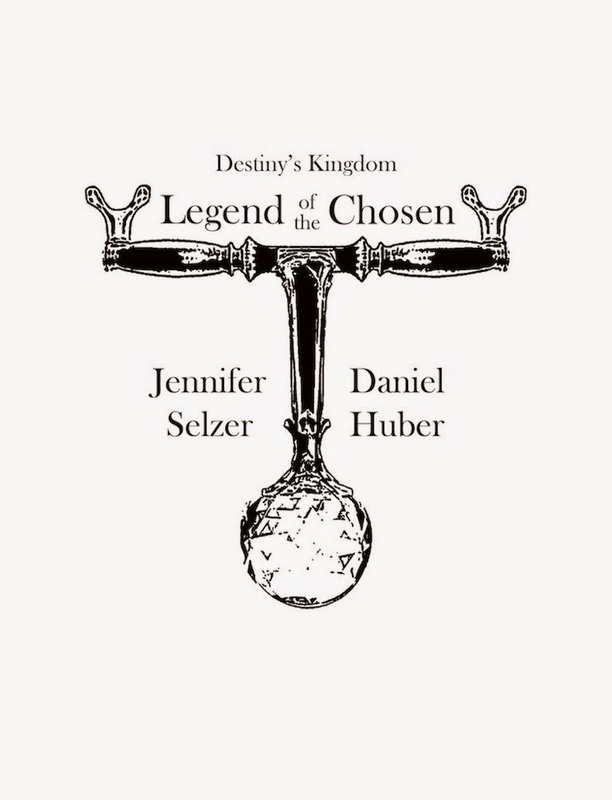 Legend of the Chosen was finally realized, written, published without compromise, gorgeous, complete. Now everyone will just find it and buy it, right? Of course the thing that most of us authors struggle with if we don’t already have a successful presence online in the form of a blog, podcast, YouTube channel or other vehicle, is visibility. So once again we’re begging for attention but this time, not from publishers but from readers. 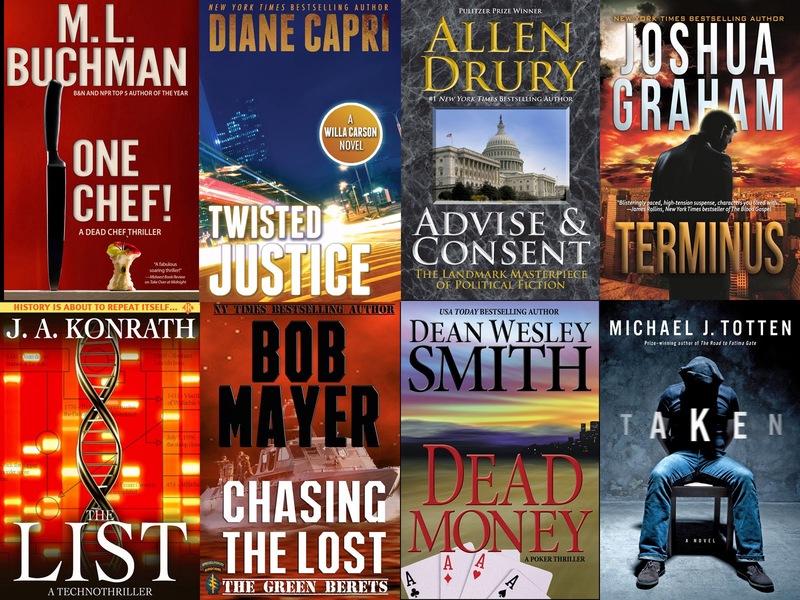 We have sent dozens of emails to book bloggers, participated on Goodreads, got lucky once with Bookbub, but as everyone knows, it’s not getting any easier. 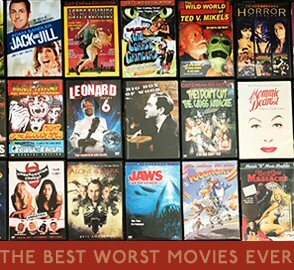 You can crank out as much material as you please, have gorgeous, eye-catching covers and a clever pitch but if you’re screaming into the void, well…there it is. We had to think about other ways to market ourselves, find readers, and get some fresh strategies for visibility. So everyone says the best thing to do is to write another book. So we went to the well and wrote 30 Silver, which we thought was our strongest and most marketable story idea. 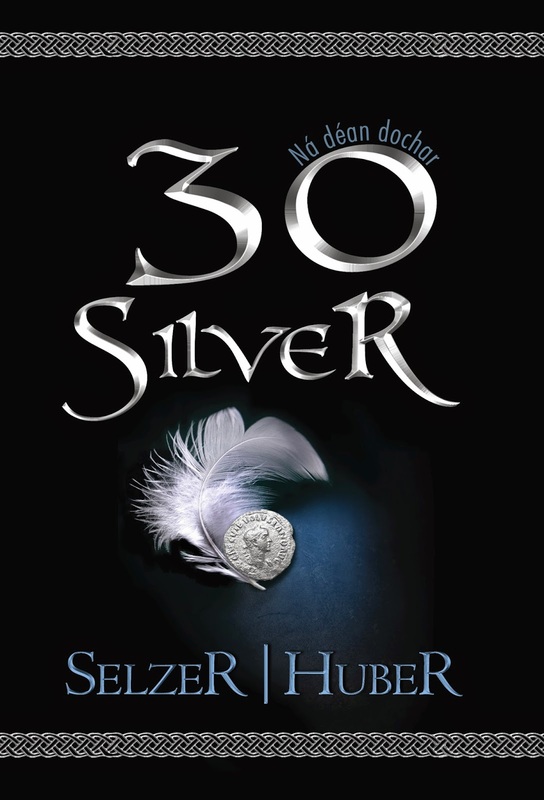 In 30 Silver, a descendent of Judas meets and falls for a fallen angel in present-day Los Angeles. Meanwhile, he’s being hunted by a ruthless, immortal Roman soldier who wants to use him to find the original thirty silver coins used to betray Christ. Toward the end of the first draft, we were already focusing on the marketing. We had one possibility that had been nagging at us for three years and that was local conventions. We are in Los Angeles, and a lot of events happen here. The one that really drew me in was Stan Lee’s Comikaze. Daniel is a huge comic book fan, and although that’s not my game, I get very invested in the idea of things… and Comikaze had such an amazing, open attitude from the start. Also, we are both huge fans of Stan Lee. He’s such an iconic, creative force and all-around cool guy. Plus, tabling there was very reasonable; just $250 for three days. We had attended the event every year, and every year, I was more convinced that we needed to be an exhibitor. We reserved that table pretty much the minute they started selling them for 2014. We had two novels, a couple of short stories and had been featured in a recently published anthology, plus we knew we’d have a third novel released right on top of the convention date. This was more than several of the small press tables we’d seen exhibiting before. We examined photos we’d taken from prior years, had a banner made for the front of our table, and had a friend design a poster to stand behind us, which was based on the cover art for 30 Silver. We had table cards printed and ordered print books to sell. Was it an investment? You bet it was. Fortunately, we had some money in the bank from prior years’ sales and that covered a lot of the expenses. One of our primary goals of exhibiting at Comikaze was to increase our mailing list, and we did do that. We offered a $15 Amazon gift card for anyone who signed up on our mailing list and we doubled the size of our list in three days. Not too bad. We are hopeful that the new subscribers stick, and sent out a link to some free content with our welcome email and the announcement of the gift card winner. We’re hoping that staying in touch and sending the occasional free short story will keep them interested and keep them reading, but time will tell with that. One very fascinating thing that occurred throughout the convention is that we were actually approached by authors asking if we took submissions. I’m guessing it’s our business name, TwoFold Press, which was prominently displayed at the front of our table, which gave the impression that we might indeed be open for authors to submit their work. Several came prepared, with their art, elevator pitch, and enthusiasm ready to sell their work. It was humbling, exhilarating, exciting, and very, very satisfying to be on the side of the table that we were on. To everyone who pitched us, we explained that we were focusing on our own books at the moment and offered them to get in touch with us if they wanted advice or info on how we published our own work. Probably the most valuable thing we got from Comikaze wasn’t monetary, but was from connections, and from personal experiences of the other writers we talked to. Our little corner in the small press/artist alley area was the nicest group of people. When you spend three days behind a table, you get to know your neighbors and ours were truly a cool bunch. The general consensus among those more seasoned than us was that conventions weren’t for making money but were for fun, and for networking. Though we kind of had that attitude going in, it was clear by the end of the weekend that we weren’t going to make money. But some of the info that we gained was truly priceless. You can only learn so much online, and in addition, most of those people aren’t local to you. All the authors at the tables around us lived within an hour’s drive from us. As a result of the people we talked to and the ideas they gave us, our novels are now in two independent bookstores. We got some great tips on blog tours. We talked about NaNoWriMo and didn’t have to explain what that meant. We got to look at their books, at the way they are formatted, compare and contrast the front matter and the margins. This may not seem like a big deal but it varies greatly. I got to spend three whole days talking to people who completely understood the value of Bookbub, who could share thoughts on KDP Select and who didn’t care whether I had another job or not. I was an author, they were fellow authors, and that was our focus. It was absolutely divine. Absolute freaking nirvana. I got to talk to people about the books I wrote and that I love, people bought our books and asked us to autograph them. We had postcards advertising an anthology that we recently contributed to, which benefits Wolfwatchers, an organization that I am truly passionate about, and I got to talk about that to people who had probably never heard of such a thing. It was one of the best weekends in recent memory. Comikaze is an awesome convention, welcoming, casual, fun, and just so worthy of support, I was truly proud to be a part of it. As for now it’s back to writing the next book, nurturing our recently expanded mailing list, and in the meantime, wait to see if any of the new seeds we’ve planted will sprout. 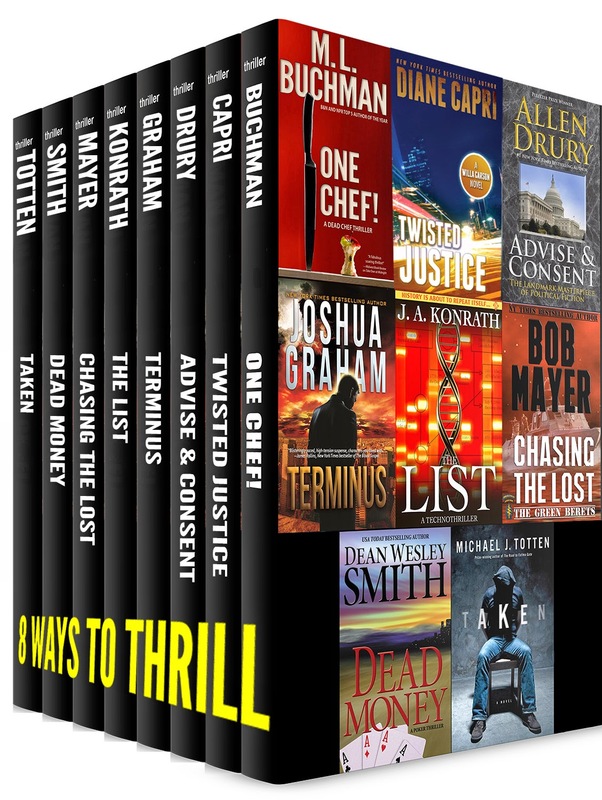 Big thanks to JA Konrath for letting us share our journey on his blog… in celebration of this, here’s a final seed we’re throwing into the wind: all three of our full-length novels will be free the day of this blog post and also the day after. We’re all in this together ultimately, so hopefully we’ll get some more reviews, and who knows, maybe a few new readers as well!